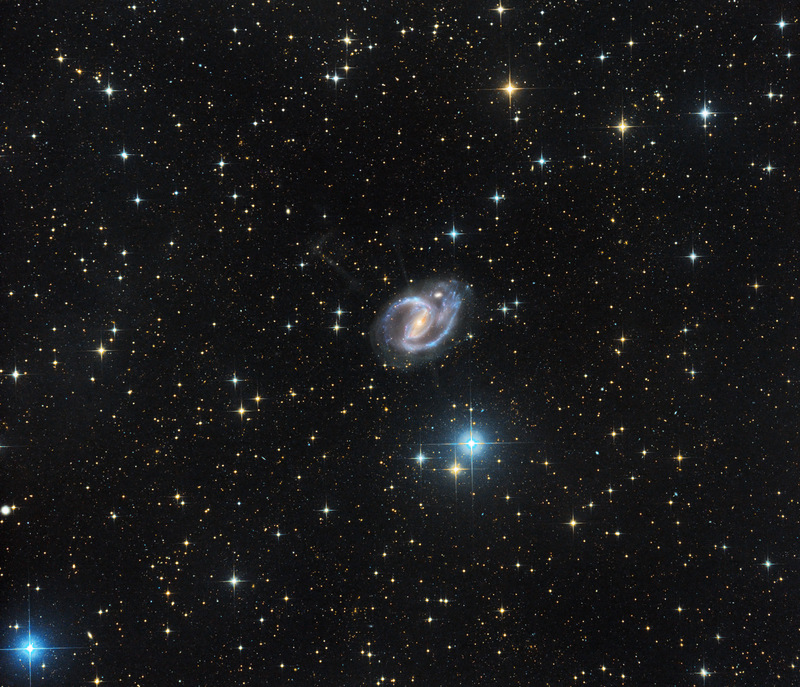 This nice barred spiral galaxy is about 45 million light-years away in the constellation Fornax. Discovered by William Herschel on 9 October 1790, NGC 1097 is a a Seyfert galaxy. Deep photographs reveal four narrow optical jets that appear to emanate from the galaxy's nucleus. 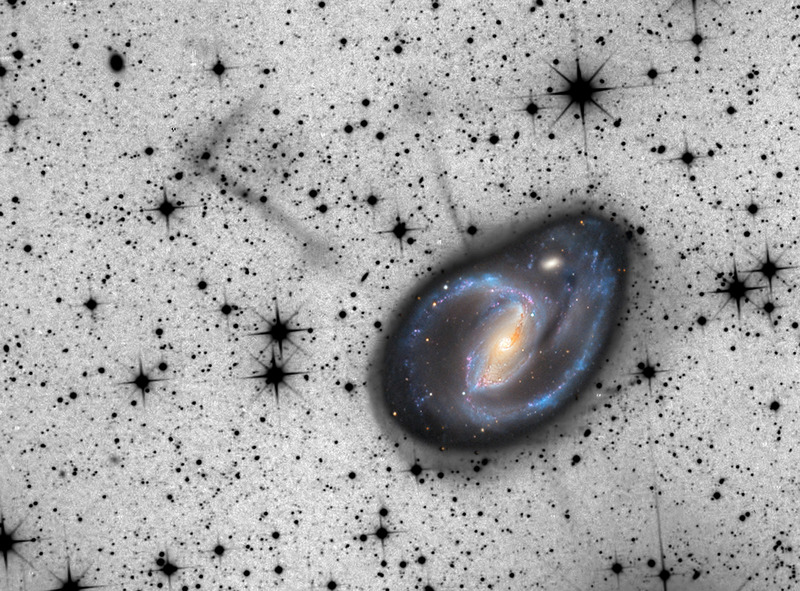 On the DC 16" image and on combined ASA 12" + DC 16" images are visible all four jets (two above and two below the galaxy). 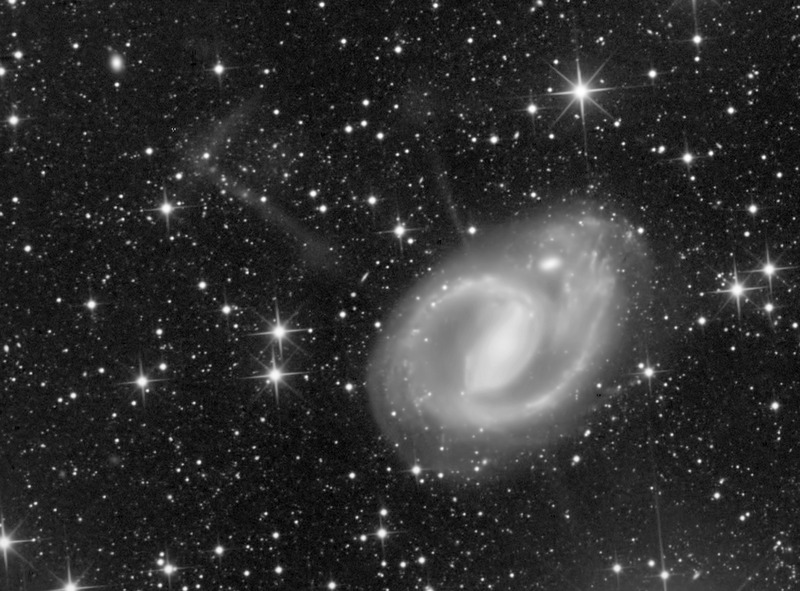 On the images taken only with ASA 12", the lower two jets are indistinguishable. These optical jets are in fact composed of stars. The failure to detect atomic hydrogen gas in the jets led to the interpretation that they are actually the shattered remains of a cannibalized dwarf galaxy. 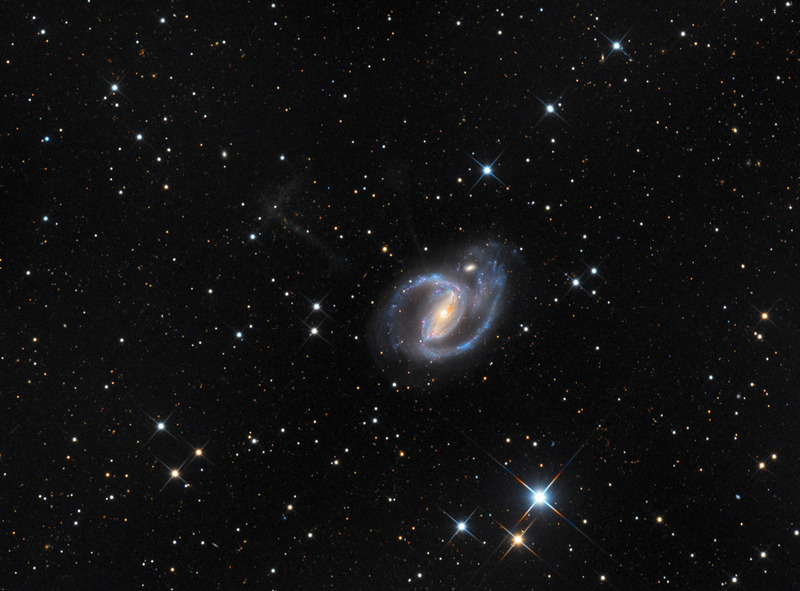 Like most massive galaxies, NGC 1097 has a supermassive black hole at its center. 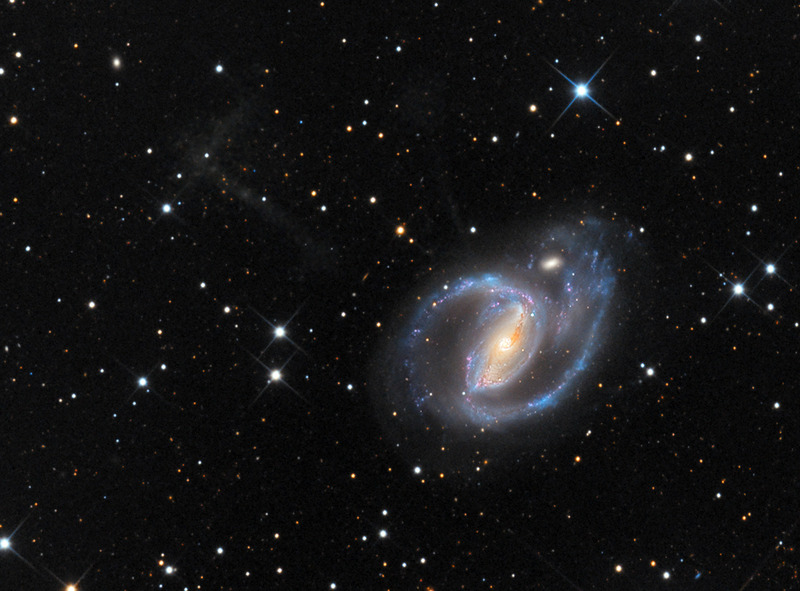 NGC 1097 has two satellite galaxies. Dwarf elliptical galaxy NGC 1097A (situated at 1 o'clock of the nucleus) is a peculiar elliptical galaxy that orbits 42,000 light-years from the center of NGC 1097. Dwarf galaxy NGC 1097B, (which is seen as small blue spot near NGC 1097A) appears to be a typical dwarf irregular galaxy. 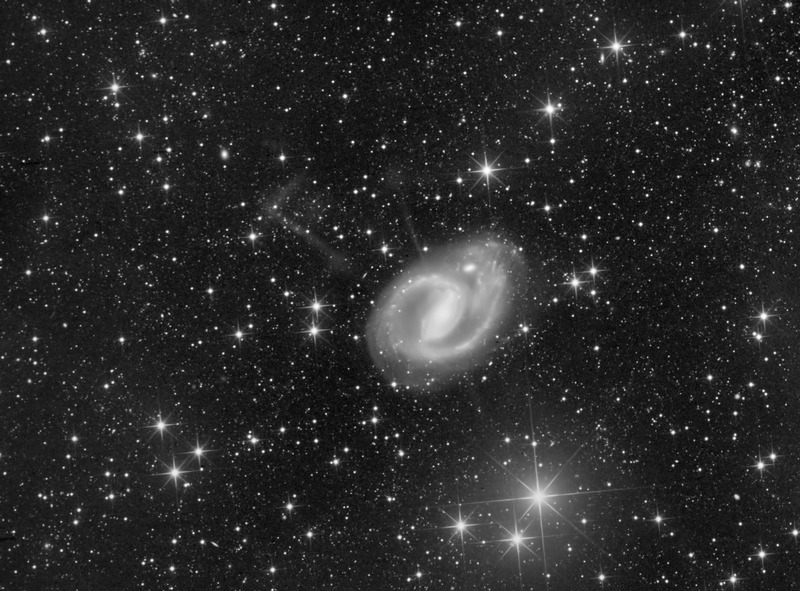 Three supernovae (SN 1992bd, SN 1999eu, and SN 2003B) have been observed in NGC 1097. Many thanks to our great astroimager friend Warren A. Keller, whose fantastic processing can be seen at the rightmost position. Total Exposure Time - 360 min.